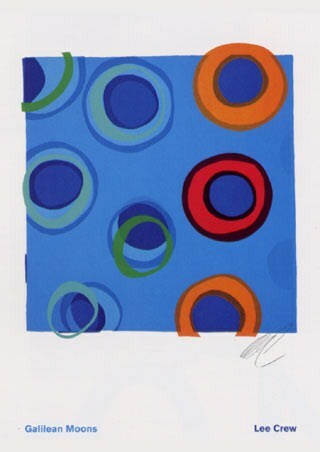 Art Print: Are you in the mood for blue? 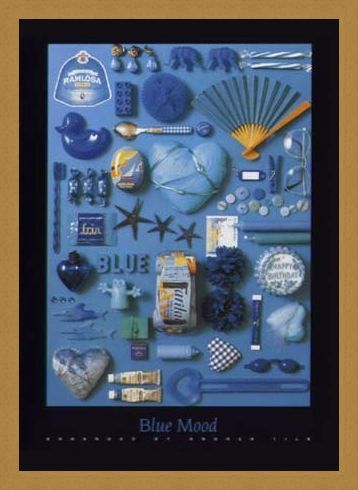 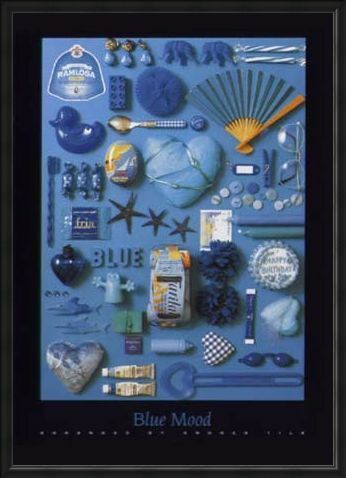 Serenity, tranquillity and peace all radiate from this stunning poster which features an arrangement of blue objects on a flat surface, part of a small series of similar works by Andrea Tilk. 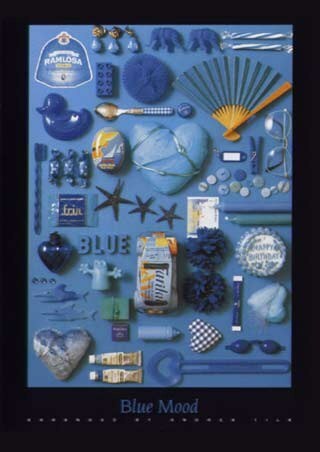 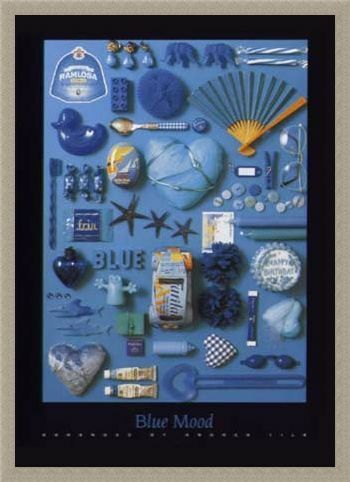 From a model car to sweet wrappers, this gorgeous collage makes you think of the sea and sky and is guaranteed to be a calming addition to any home. High quality, framed Blue Mood, Andrea Tilk print with a bespoke frame by our custom framing service.